The Compulsive Reader: Interview With Nicole From Tribute Books! Tribute Books recently announced that due to changes in the market and economy, they would be making the switch from publishing print and e-books to e-books only! Read on to find out more about the decision in this interview with Nicole of Tribute Books! TCR: What led you to your decision to only publish YA e-books? N: Our main reason is the explosion in popularity of e-readers such as the Kindle, Nook and iPad. Over the course of 2011, we've watched our ebook sales outpace our print sales by 2 to 1. The under $5 price point of most of our titles and the ease of purchase and delivery are surely contributing factors. On a business level, the young adult genre sells especially if it is well written and has a paranormal romance theme. On a marketing level, the devotion of the young adult fan base is unparalleled. On a personal level, I thoroughly enjoy a good young adult novel and review many on my blog at http://tributebooksreviews.blogspot.com. TCR: How will your publishing approach change? How do you anticipate that it will remain the same? N: Our submission guidelines are stricter. Manuscripts that have already been professionally edited will receive greater consideration. Our preference is to work with authors who have already been published through a royalty-paying press and who know the ins and outs of book promotion. An established social media platform is a must, and we will not consider writers who do not have a well-followed blog, Facebook page or Twitter account. Our support system will remain the same. What sets us apart is our one-on-one interaction with our authors. We go the extra mile in doing everything we can to promote our titles on a daily basis even years after a book's initial release. I'm a believer in doing what you love and working with like-minded people, when it's at all possible. TCR: What sorts of stories are you going to be looking for? N: We're looking for ebook submissions for the young adult genre. Our preference is for damn good writing, the particular topic is secondary in importance. However, ebooks written with a series in mind or those that delve into the paranormal will have a slight edge. 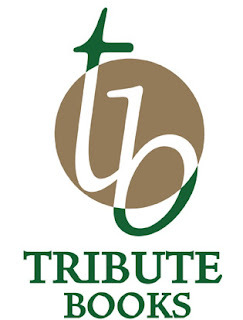 Interested authors can submit their manuscripts via email to info@tribute-books.com. There will be no charge for the authors we select to work with, and they will receive 50% of the net profits of their ebook sales in quarterly royalty payments. We're looking for Microsoft Word documents with a maximum of 350 pages of text with no photos, charts, illustrations, graphs, etc. My hope is that we are able to recruit some talented writers of well-written, well-crafted stories in order to develop an eager fan base for the titles we publish. We want readers to be excited about the ebooks we produce. Young adult authors have the most devoted fan followings out there, and we'd like to introduce that audience to a whole new host of talent. TCR: What do you believe is the most important element of publicity for a new book? N: I am a big believer in the power of social media. I even conduct monthly blog tours for outside publishers and authors in order to help them increase the online presence of a book. Book bloggers are a powerful force in the book industry. With more and more book stores closing and book review columns being cut from major newspapers, readers are depending on bloggers to help them find the books they want to read. They are turning to the internet as a reference point to fill this information gap. In my opinion, social networking is the bread and butter of any author's promotional efforts. Without it, it's like trying to paddle upstream without a canoe. Readers want to connect with the person who wrote the book. They crave interaction with an author. Nothing beats getting a writer to comment on a blogger's book review post or getting a personalized thank you tweet from your favorite author. The days of authors being isolated from their fans is over. They're now able to build an online following and receive instant feedback for their work. They have the opportunity to take part in creating their own literary community. I really appreciate ebook readers are becoming all the rave. The lure for people, initially, to have a reader was to get books at discounted prices. However, as more books go out of print and only become available as ebooks, I fear a big ole price increase. I've had my kindle since they first came out in 2007. I have a first generation kindle and a 3rd generation. The books availablity has greatly increased, but so has the price! I used to get ebooks for less than 5/book now I'm always paying about 10/book. I refuse to buy ebooks which cost more than that. Gina: This is a hard issue, and I think the problem here is NOT that e-books are becoming so popular, or even that Amazon is making them (and their e-readers) so affordable. I think the major issue is that Amazon keeps perpetuating this illusion that books are worth only $5. The thing we have to remember is that a LOT of money goes into making a book, from authors to agents to editors/design/copyediting, etc., and that actually printing a book isn't that expensive. So, really a $10 e-book isn't an unfair cost...it just feels like it because you have a file on an e-reader, not a physical book. As books going of of print...I honestly don't think that's happening anytime soon. Too many people love, love, love print books, and a LOT of people I know buy an e-book to have it the minute it comes out, and THEN buy the physical book to have the book. And even if that does happen, I think what we'll probably end up seeing is a price system akin to what we have now. When a book first comes out, it's an expensive hardcover...after a year, it's a cheaper paperback...after a little while longer, sometimes it's an even cheaper mass market paperback. That, to me, seems fair. While I like this advancement in the book scene, I'm more warier when it comes to supporting it. I don't know if Tribute Books market their books internationally or not, but once it is published as an eBook in Kindle or Barnes & Noble, it'll be interesting to know if they will be marketing it internationally. The reason why I say this is because I live in Malaysia. I own a Kindle which I bought through eBay because Amazon doesn't sell Kindles outside of US (this goes for B&N as well). Once the Amazon technical system detected that I do not live in the US, I could not purchase any eBooks. Not a single eBook. I talked with the customer service representatives and they say that this is because the publishers have chosen not to market their eBooks internationally. So, it'll be interesting and wonderful if Tribute Books market their eBooks internationally. Definitely a brave move to switch to ebooks only. Though I am happy to see more and more people adopting ebooks as a valid book medium--sales are showing massive percentage increases and it's actually pretty rare for me to go to public places and not see someone with an ereading device. Best of luck to Tribute! Tirzah, thank you for taking the time to interview me at The Compulsive Reader. I appreciate your support in helping us connect with young adult authors and fans of the genre. Gina - In terms of price, we represent a lot of authors who are "unknown" to the general public. For many buyers, their initial purchase is the first time they are picking up a book by one of our authors. When it comes to taking a chance on an unknown author, most buyers will spend $2.99 for the Kindle version versus $14.95 for a paperback. In terms of charging more for an ebook (in the $10+ range), I think it depends on the popularity of the author, the date of release and if the publisher is a major New York house. And yes, sugarpeach - all of our ebooks currently are, and will continue to be, available internationally. LoriStrongin - we appreciate your kind words of encouragement! ebook vs. traditional or how the two formats will co-exist has raged on as an issue for a while now. I've stayed on the sidelines mum because I've never been sure how many teens are using ebook readers. I write exclusively for young adults, so it's good to finally hear someone definitively jump into the market. This means either the market is already there or Tribute will be pioneering the option. Good to know as I work on my latest WIP. I have resisted the ebook trend, so this kind of news is rather scary... I won't go into the argument of why one is better than the other right now, but I fear a lot of good books won't be read because they can't be picked up from the library as physical copies.